You have big dreams but your biz just isn’t living up to them. If you have goals but don’t quite know how to reach them, or if you’re simply feeling stuck—coaching might be for you. If you’re ready to attract the clients you want, focus your energy where it matters, and start getting paid what you’re worth, I can help. Can I get connected with other attendees before the workshop? Before the workshop begins, you will be put into an online Facebook community group with all the other attendees to help get to know each other and coordinate anything that you would need to for rides, hotels, etc. Make sure to bring a DSLR camera and your favorite lenses for the styled shoot! You’ll have the chance to photograph a bride and groom, and details, too! A laptop with a card reader and editing software is optional. If you want to have your computer open while I’m teaching Photo Mechanic and Lightroom so you can have a more hands-on editing experience, go for it! If you prefer just to watch me, that’s cool, too! Other than that, just bring your excitement and smiles and you’ll be good to go! During our 3-hour AP Business Coaching session, we’re going to put everything on the table. We’re going to dig through every nook & cranny of your business, but don’t you worry, this is a place of massive love, support, and absolutely no judgment. We’ll take an in-depth look into your biz’s strengths and weaknesses, and then design a practical action plan to smash each and every one of your goals. This is your opportunity to work one-on-one with someone (aka me) who lives + loves your industry, understands your unique challenges, and is totally invested in your success. It helps to have a partner. We have a tendency to put ourselves and our goals last on our lists. Things change dramatically when you have a partner in progress—someone to support, think through and hold you accountable (in a super friendly way) to your own goals. I’ve built a thriving business in our super competitive industry, shooting 20+ weddings each year for clients that become friends & doubling the income from my day job, while being able to stay home with my favorite little munchkins. 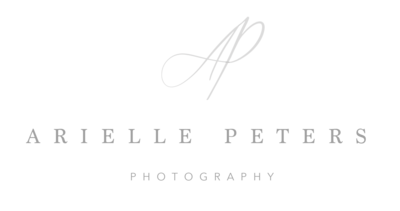 As your photography business coach in Indiana, I want you to know you can ask me anything—NOTHING is off limits—because I am committed to helping you grow a profitable, balanced, and truly exceptional business. I don’t have gadgets and gizmos to give you, but I have whozits and whatzits galore, in terms of honest info, strategic workflows, and some ravishing new headshots. Let’s work from a place of joy, get unstuck, and ditch the excuses between you & your dreams. You have nothing to lose—except overwhelm & stress pimples—and EVERYTHING to gain. ”Arielle is an absolutely wonderful mentor and educator! When we met, she immediately felt like a close friend that I could trust with all of my questions both big and small! She was so organized and I really appreciated the way she took her time with all the topics that were important to me! She really knows her stuff and shared many unique tips and tricks with me that have been so helpful! Most importantly, Arielle is kind, encouraging and affirming! 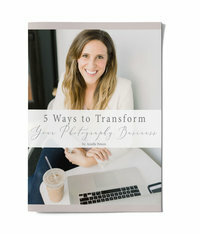 I would highly recommend her to any photographer looking to grow their business!" 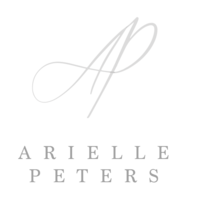 “I recently had the opportunity to do business coaching with Arielle and I had an awesome experience! In preparation for our coaching session she asked me specifically what my goals were for the coaching. I felt like the coaching provided not only practical solutions but also forced me out of my comfort zone and encouraged me to dream bigger. She was relatable and kind. I also received updated headshots that were much needed. She made me feel comfortable in front of the camera which was a huge bonus! I recommend her coaching! It’s definitely money well spent"
Coaching dates are sprinkled periodically throughout the year. Like your FAV holiday Starbucks flavors, they go too fast! Jump on the primary access list to be the first to know when dates are launched.